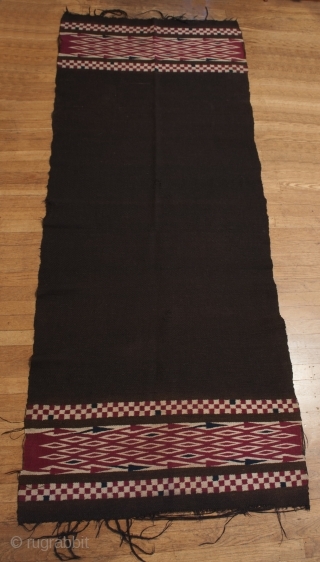 Chamarro, ceremonial serape used in the cofradia in Santo Tomas Chichicastenango. These are very rare and haven't been made since the 1950s. 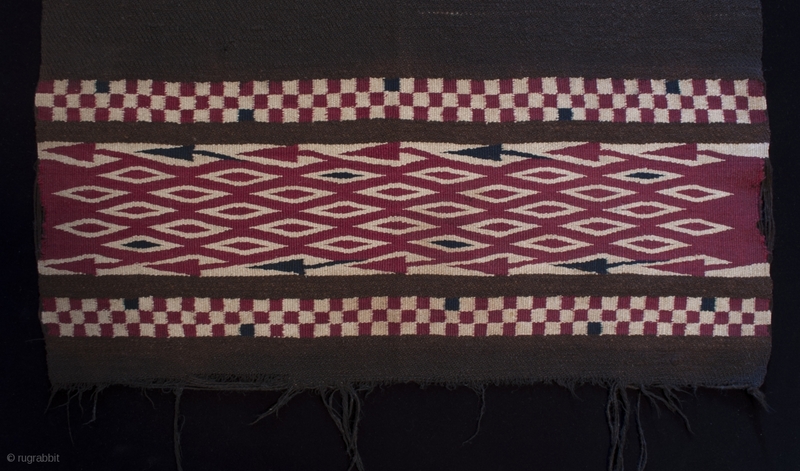 See "Maya Textiles of Guatemala: The Eisen Collection of 1902" by Margot Blum Schevill, u. of Texas Press, 1993, pp. 92-3 for descriptions of examples of very similar pieces over 100 years old. 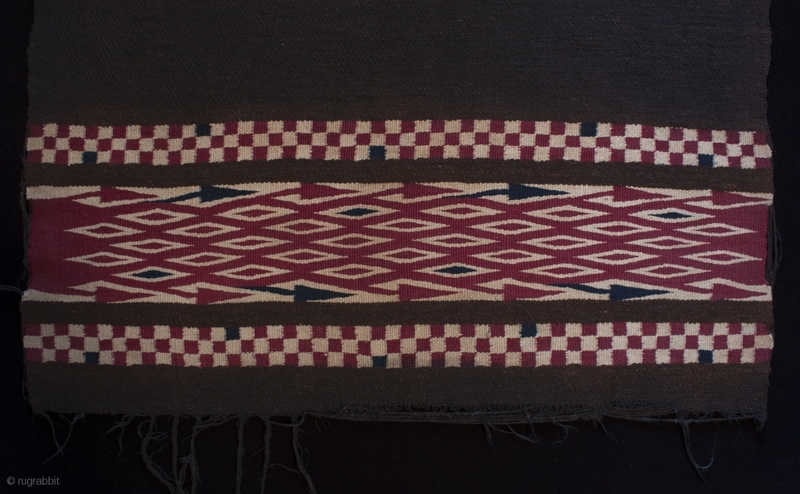 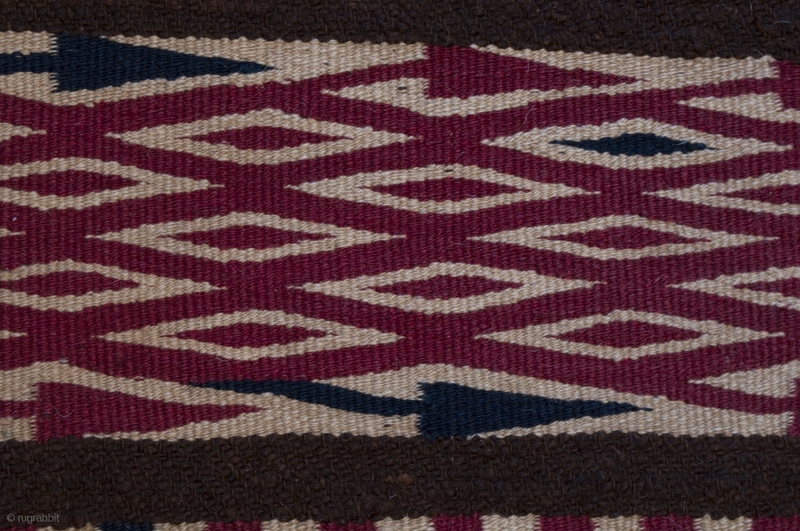 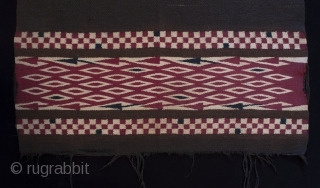 They were woven by men on foot treadle looms using hand spun undyed wool; the blue and red are indigo and cochineal. 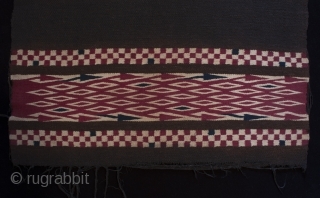 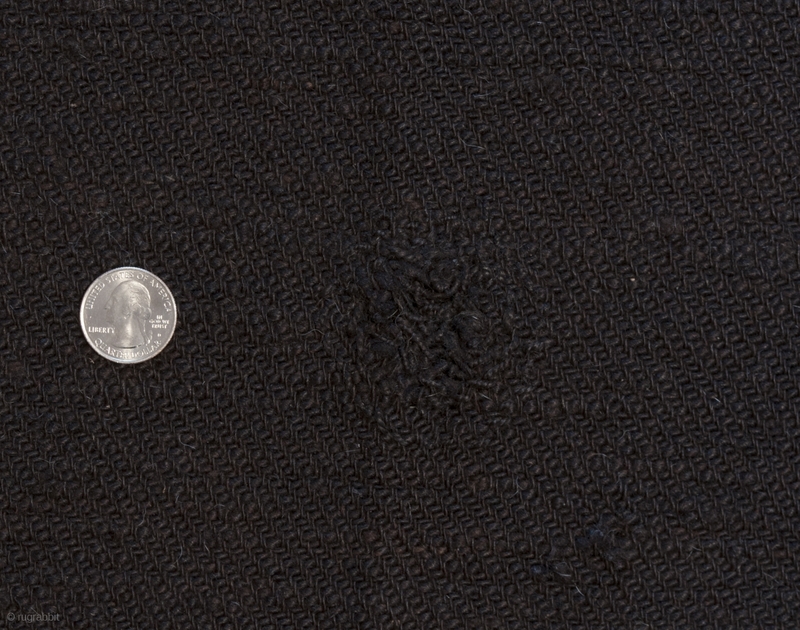 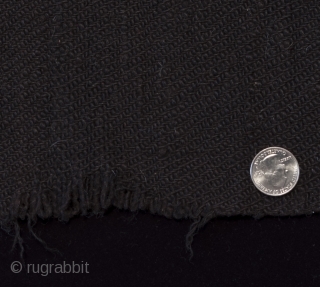 It has two darned holes and a bit of fraying on one edge, in addition to the losses at the edges of the border designs. It measures 33" by 82".